After Violet Shampoo, you put your Violet Conditioner in and you let it all hang out… for about one-to-three minutes. Because that’s how long it takes for our perfect purple moisturizer to knock the brassy tones right out of cool blondes (and gray) heads. This product is amazing! 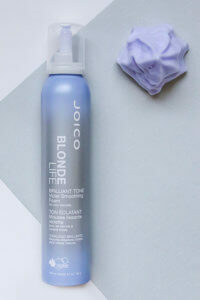 I use this (shampoo/conditioner) at the salon on just about all my color-treated clients. A little heat with the conditioner give amazing results on my natural/color-treated clients. 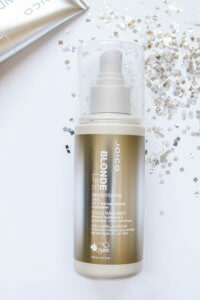 Fabulous product!! Directions: Massage into clean, damp hair. Leave on for 1-3 minutes. Rinse. I had just purchased the Color Endure Violet Shampoo and Conditioner set from my local Winners – for 16$. I have been gradually taking my hair from dark brown to blonde over the summer and purchased a variety of purple shampoo and conditioning products. I have not yet used this product long enough to see the color results but by the look of the quality of the purple in both the shampoo and conditioner I am expecting big things. 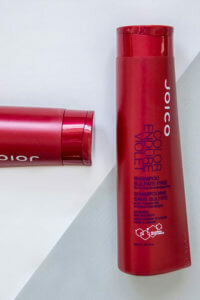 This conditioner has made my hair feel like no other conditioner can! I was so amazed to feel how soft my hair felt from only one use. I love the shampoo. It really cools down my bleached hair (from yellow to ash). The conditioner, however, leaves the lightest pink tint. Good stuff but I don’t like the “aftertaste”…..